Even though people choose to believe that ordering French fries counts as their daily serving of vegetables, French fries from your favorite fast food chain is definitely not healthy. First, the oil used in frying the fries is usually reused so many times that it is already quite carcinogenic. Add to that the fact that the frozen french fries already probably contains hydrogenated oils to preserve the potatoes. Instead of ordering fast food french fries, why not try oven baking fresh potatoes at home instead? 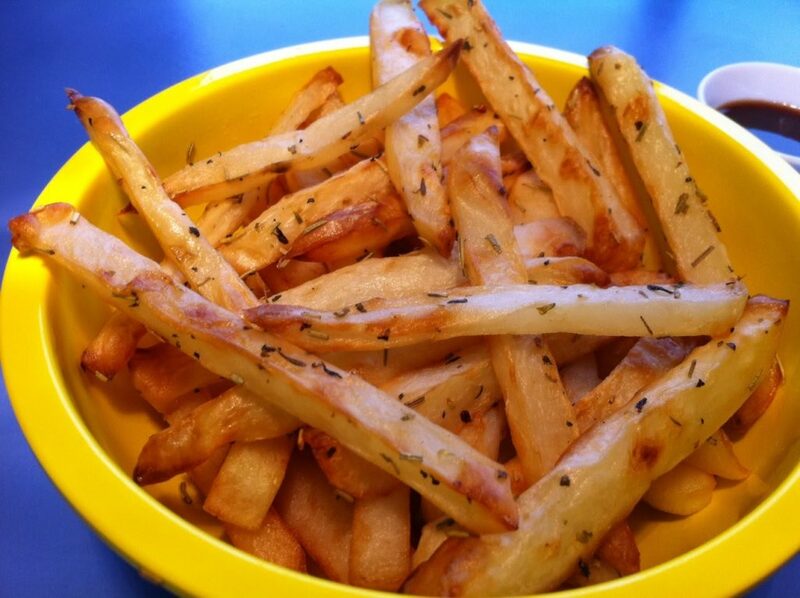 Cut a potato in to fat fries, brush with olive oil, sprinkle with some sea salt and then bake to a crisp. Did you know that almost 90% of candy products out there contain about 90% sugar while the rest of the ingredients are usually artificial coloring and flavoring? There is definitely nothing healthy about candy. Even if you add herbs and such to it, the benefits are still overshadowed by the amount of sugar you would have to ingest. Plus, research shows that refined sugars found in candies have addictive properties. It is time to kick the habit by slowly replacing your candy cravings with fresh fruits. Every time you feel like having candy, grab a banana or even a really ripe mango instead. Your body will thank you for the live enzymes, vitamins and minerals in the fruit instead of the empty calories of a piece of candy. There was a time when Frozen Yogurt was all the rage, when people believed that, by eating frozen yogurt, they were doing their body a favor. Here’s the harsh reality, frozen yogurt is not really healthy. Although yogurt itself, in it’s simplest form is a great source of good bacteria for your gut, frozen yogurt often has a lot of flavoring and sugar to help improve the natural sour taste. If you really want the health benefit, then you should stick to natural, unsweetened yogurt. You may add some really sweet fruit, such as ripe mangoes, to the unsweetened yogurt for a fruity-sweet kick. Nitrates, food coloring, artificial flavors and additives—all of these are found in a hotdog. In a culture that is used to feeding children hotdogs, it is a great task to change the habits that most Filipinos have developed. Instead of choosing processed meat like hotdogs, why not eat real, homecooked meals where you can identify the meat you are eating? In the end, it is all about starting them young. If you develop a habit of straying away from processed, junk food, then your child will not develop the taste and desire for it. As parents, you have the power to shape the future health of your child by influencing their food choices now.